An Ophthalmologist since 1997, Dr. Reyes regularly utilized Botox in her practice for treatments of eye conditions. When Botox was approved for cosmetic use in 2002, Dr. Reyes was able to meet the overwhelming requests by her patients for aesthetic improvements. As her patient list continued to grow, in 2007 The Med Spot was born out of both necessity and a love for her work. Located in the heart of Woodland Hills, The Med Spot loves making the Valley a more beautiful place. Due to Dr. Reyes’ skillful eye and artistry, people transform here daily. From age related stressors on the skin, to the need to just be refreshed, The Med Spot serves as a safe, comfortable environment for transforming you into your best self. 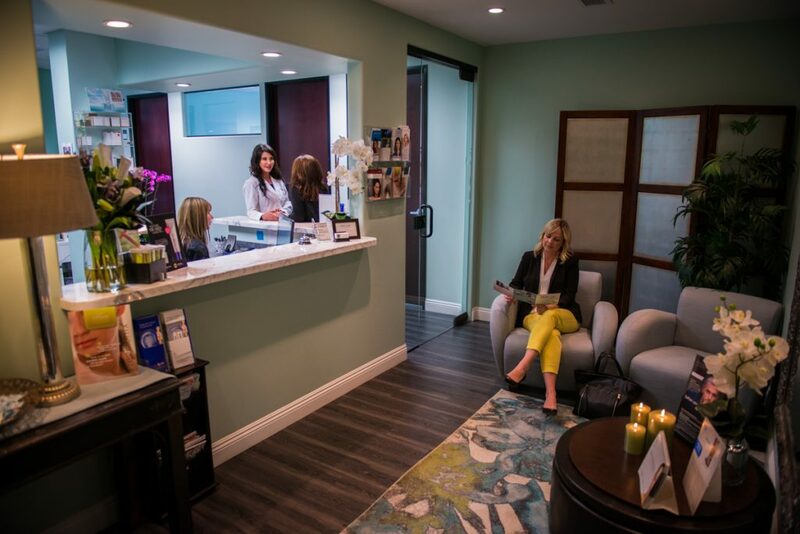 We strive to meet the individual needs of all our patients and with that in mind, we will walk you through every step of your treatment. From deciding on a procedure plan to making sure you are happy and that your experience here goes smoothly, to put it quite simply – we are here for you. Never hesitate to call us with any questions. We cannot wait to meet you! 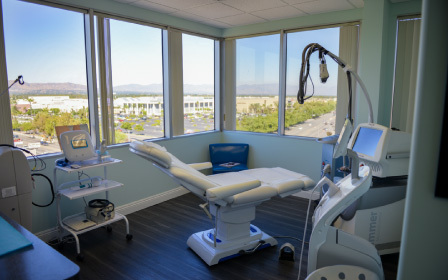 In the years that followed and after hearing the increasing call from her clients for botoxand cosmetic procedures Dr Reyes transitioned over to the cosmetic field becoming a Cosmetic Surgeon. She is now following her dream of establishing a medical practice dedicated to minimally invasive cosmetic procedures alongside healthy age management in a relaxing spa environment, which we now know as “The Med Spot”. Dr. Reyes specializes in using her aesthetic instincts with her medical and technical background to make people realize their full beauty potential, health and wellness. Dr. Michelle Reyes is also heavily involved in continuing medical education to ensure she is practicing medicine using the most cutting-edge technology and training. As both surgical and treatment coordinator, plus a certified Medical Assistant, Shirley is known as Dr. Reyes’s right hand. She’s always one step ahead when organizing the smooth running of each procedure throughout our busy days. From setting up the treatment rooms to pre-and post-care of our clients, Shirley has her role down to fine art. Shirley’s other responsibilities include; running the back office, phlebotomy, consulting with clients and customizing treatment plans to help the clients achieve their ‘best selves.’ Shirley is also our “Social Media Guru,” for those clients who love to follow us on social media. As a graduate of Clarita Career College in 2007 with a certificate in Medical Assisting, Shirley started working alongside Dr. Reyes in 2008 at her former surgical practice. In 2013, she joined us here at The Med Spot. Shirley is currently attending Pierce College with the intention of advancing her career into the nursing field. A Southern California native, she currently resides in the west San Fernando Valley with her children, she is a great lover of movies, food festivals, and family activities. Known as “the one with the accent” Lesley, a native Brit is the longest serving member of The Med Spot team, joining Dr Reyes in 2011. After many years in the creative field and running two businesses Lesley was given the opportunity to work alongside Dr Reyes heading up the front office of a rapidly growing business. Not knowing much about the aesthetic world, it was an education that would take her on a journey over the years that she has become passionate about. The business of helping clients feel good about themselves as they age and seeing how we’re able to help in this process has been the greatest reward. Lesley is an integral part of the continued growth of the business and its success as one of California’s leading cosmetic practices. She keeps the front office wheels running at all times with her attention to detail and ensures that each client experience is great from the moment they walk through the door. Born in England, Lesley moved to the USA in 1990 with her husband and two children. She graduated St Martins College of Art London with her Bachelor degree in Fine Art. She later furthered her education with a minor in site merchandizing and graphic design. Aside from all things creative Lesley enjoys riding her motorcycle at weekends, running half marathons and family time with her children and grandson.